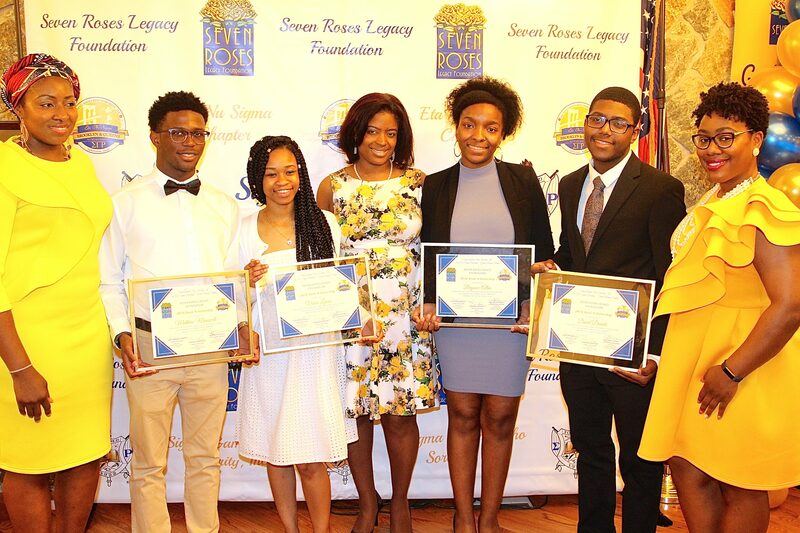 The Seven Roses Legacy Foundation (SRLF) helps students from Brooklyn and Queens pursue higher education opportunities and expand their cultural and social horizons. 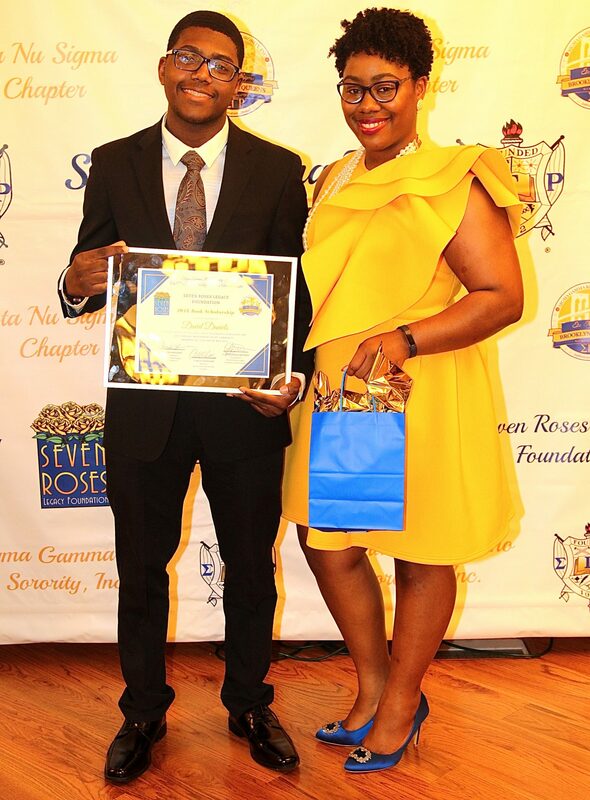 This foundation (SRLF), is a 501(c)(3) organization and is the charitable arm of Eta Nu Sigma Brooklyn & Queens Chapter of Sigma Gamma Rho Sorority Inc. We hope we can count on your continued support this year and forward. As part of our commitment, SRLF will sponsor 8 -week swimming lessons for 7 children at the Bedford Stuyvesant YMCA, Brooklyn NY. If you’d like to contribute to the cause and help us sponsor more children’s swim lessons, click here to donate to our SWIM1922 campaign. Our annual key fundraising event to support youth programs is the Golden Mother’s Day Scholarship Jazz Brunch. 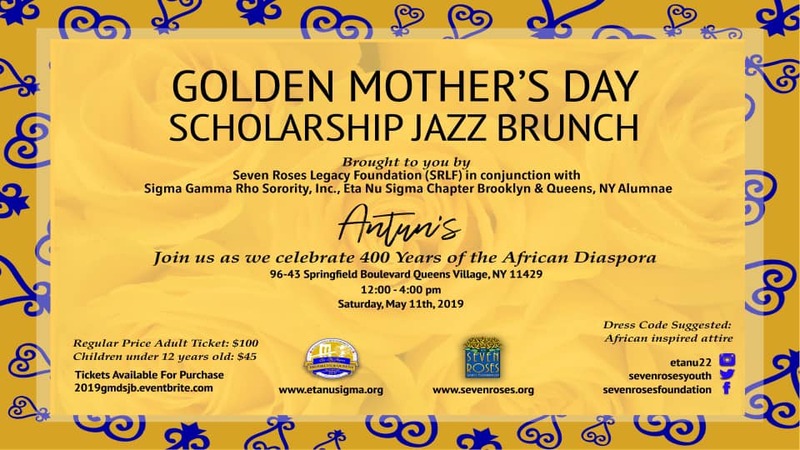 Our signature event, The Golden Mother’s Day Scholarship Jazz Brunch’s primary purpose is to award excelling high school students with scholarships to aid in their scholastic endeavors and also celebrate matriarchs and community leaders. Join us on May 11, 2019 as we celebrate our resilient community of achievers. Ever thought of pursuing a career in STEAM (Science, Technology, Engineering, Art, Math)? Join the Seven Roses Legacy Foundation and Eta Nu Sigma Chapter, Brooklyn & Queens Alumnae of Sigma Gamma Rho Sorority, Inc. as we host our Annual Youth Symposium! The theme for this year is Creating Connections: The Building Blocks of Leadership and we can’t wait to share with you an amazing day of classes, workshops and more! The Sigma Youth Symposium was designed to highlight some of the prevalent concerns that negatively impact our youth: drugs, teen violence, abuse, low self-esteem, suicide, teen pregnancy, etc. Held on the second Saturday of March by each Alumnae Chapter, simultaneous Sigma Youth Symposiums address issues that affect teens today. 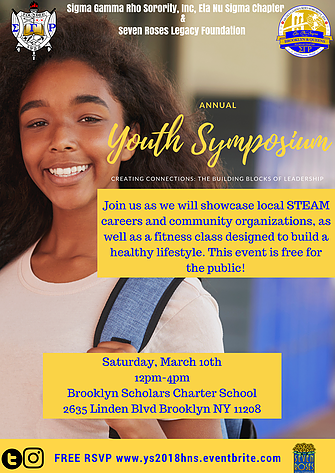 Chapters nationwide will hosted their local symposiums on Saturday, March 10, 2018, as a unified effort to support our youth. Our signature event; The Golden Mother’s Day Scholarship Jazz Brunch’s purpose is to award deserving high school students with scholarships to aid in their scholastic endeavors. Would you like to provide financial support to our scholarship fund? To gift an amount earmarked for scholarships, you may simply visit the link below and make your tax deductible contribution. Wee Savers an educational program designed to enhance the financial literacy of children from elementary school through high school, including their parents. 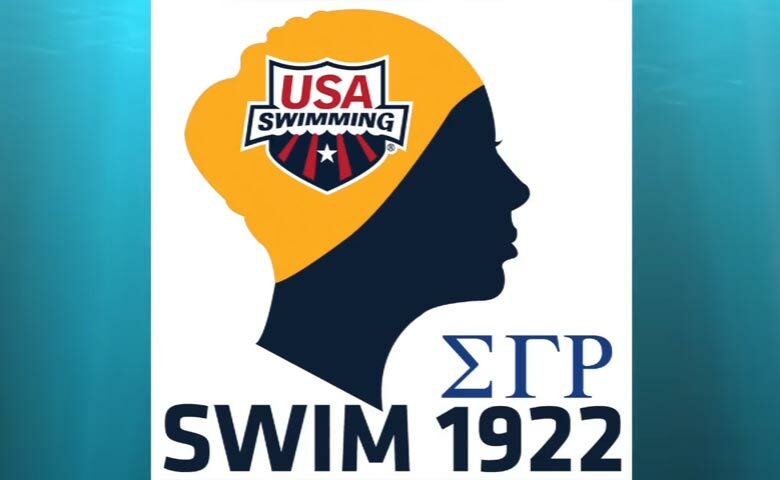 Swim1922 / Water Palooza an initiative in partnership with Eta Nu Sigma Chapter, Sigma Gamma Rho Sorority, Inc and USA Swimming that aims to increase swim participation and decrease drowning rates in the community. USA Swim campaign is a national recruiting effort aimed at arming parents with the information and resources needed to get their children involved in the sport for its health and safety benefits. Each Spring, Seven Roses Legacy Foundation (SRLF) selects winning essays from a candidate pool of close to 100 high school applicants who dare to strive for educational greatness. Our scholarship winners go on to attend Colleges and Universities like University of Pennsylvania, Barnard College of Columbia University, Syracuse University, Morehouse College, SUNY-Buffalo and others.